Jean D. Becker passed away peacefully in her private home. She was 82. A Memorial Service will take place at 11 a.m., on July 28, 2018, at Peace Lutheran Church, 828 W. Main, Grass Valley, CA 95945. She was born and raised on May 3, 1936 in Boise, Idaho by the late Helen and James O. Judd. She had been employed with United Airlines as a Reservation Agent, and later as an in-flight Stewardess. She initially had met Marvin in NYC at a social gathering. Until that time, she had never seen him again until a scheduled flight in Los Angeles. They married on March 11, 1958. Most recently they had celebrated 60 years of marriage. For many years she had been active with the National Association of Miniature Enthusiasts (NAME). She had designed and built several individual showcase pieces. 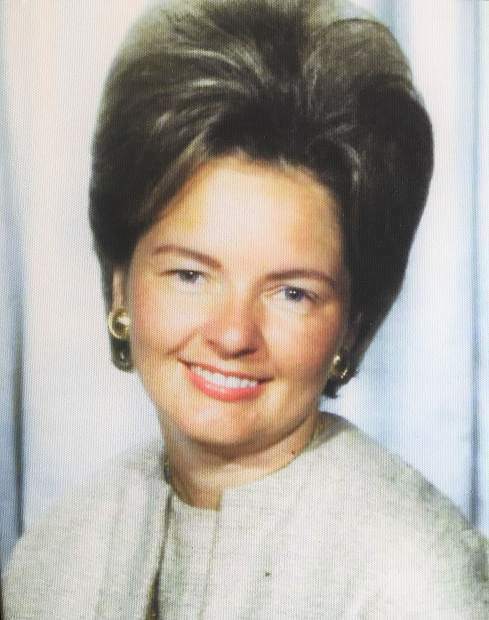 She was a member of Clipped Wings, a retired airline Stewardess Group. She is survived by her husband, Marvin D. Becker; two adult children, James Becker and Sheri Becker; two adult grandchildren, Dustin Becker and Kayla Becker; her sister Judith Judd; nephews Bill and David Cordray; her brother, James O. (Nanci) Judd, Jr.; and nephews Ryan Judd and Ollie Judd; nieces Jessica Arlt, and Molly Judd as well as the family cat, Sam. Memorial Contributions can be made payable to the Mission Endowment Fund to help the local community. For more details, contact Peace Lutheran Church located in Grass Valley 530-273-9631. Special thanks to Lakeside Colonial Chapel who had graciously assisted in servicing our family at this time of need.